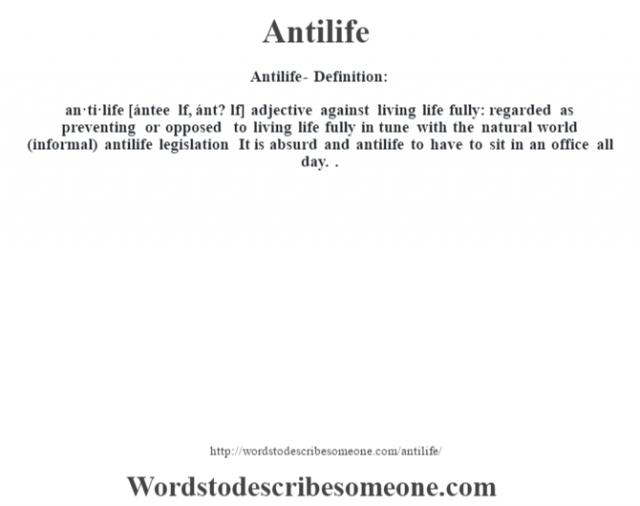 an·ti·life [ántee lf, ánt? lf] adjective against living life fully: regarded as preventing or opposed to living life fully in tune with the natural world (informal) antilife legislation It is absurd and antilife to have to sit in an office all day. .